The munificent beings at Spirit Level Studios are glad to present Soldiers Of Paradise, another round of audio ammunition from Kayesem dedicated to progressive psychedelic music lovers, nature, and the perpetually homeless couch surfers of the world. May the doof be with you! 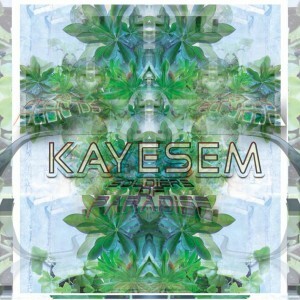 With this release, Kayesem aims to provide balanced, light-hearted and intuitive guide to the method of no methods with well-intentioned, multi-level, colourful, and naturally evolving sounds coalescing into a transparency of mind. A transparent mind is a clear space, guided by and informing further experiences of an intrinsic, harmonious progression and connection, preparing mental states for dusk initiation. These are meditative, mindful gates for dawn retaliation. “The kind man’s at war, our gridlock of law, when freedom’s unsure, surrender once more.” Mastering, photography and cover design courtesy of the team at Spirit Level Studios. MP3 Download | FLAC Download | WAV Download · Download count: 5,010. OMG??? That 1st track Zelda-Remix is… GODLIKE! I think it is misleading to classify this album as ‘Downtempo, Progressive.’ At least 5 of the tracks of this album are in the IDM genre, and at least one, I think, is pretty much techno. So, when somebody is looking for downtempo or progressive, they may be dissatisfied hearing this. However, within the genre of IDM, this is a high quality music, in my opinion. I play it right next to “The Future Sound Of London” and don’t feel a particular change in quality. So, please, give some respect to this album and to the artist, re-classify it into a different category. This is a pretty unique sound, and difficult to classify. Definitely quite a bit of techno going on here, should add that tag for sure. Beautiful synth arps and leads w/ an 8bit or vintage electro brightness, generally playful freeform approach to composing which I find very refreshing, a lot of sappy bland psydub on this site and this isn’t it. A real treat for nerds and lovers of multigenre work.